It’s that time of year again! 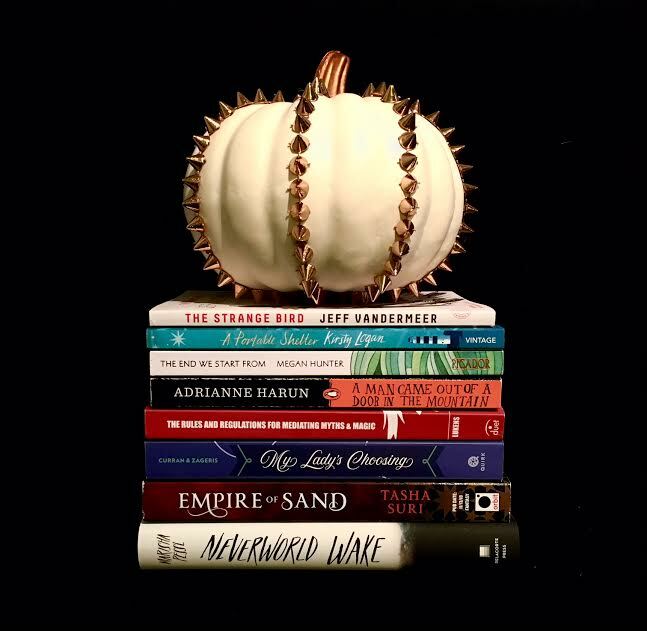 October means colder, rainier, more reading-friendly weather, candles, my famous pumpkin chili, spookiness and all things Halloween, and another round of Dewey’s 24-hour readathon. If you’re a fellow bookish person and you’ve never heard of Dewey’s, check out the site here. It’s a twice-yearly readathon where the purported goal is to read for a full 24 hours–but don’t worry, most of us don’t make it to nearly that much. Essentially, it’s a day of reading as much as you can while connecting with fellow book lovers. You can post as much as you want on social media, enter a bunch of challenges, or just be a hermit all day and devote yourself to books. Either way, it’s super fun and a great way to treat yourself on a Saturday. Dewey’s takes place this Saturday, October 20th, and it starts at a different time depending on what time zone you’re in; on the East Coast of the U.S., where I am, the readathon starts at 8 a.m. (although I almost never actually start reading that early). One of my favorite parts of Dewey’s is, oddly, the planning. I like to think about what books to read in advance, because if you’re going to spend a day binge-reading, you’ll burn out fast if you try to read books that are too slow or complex (or at least I do!). I find that what works best for me are books with alternative formats (books that have text interspersed with images, interviews, documents, etc; think Illuminae or Night Film), short books (I like Tor.com novellas in particular), YA (you’re looking for a book that’s absorbing without being too strenuous to read, especially later in the day when you’re getting tired), and thrillers (because they’re gripping and fast-paced; I recommend Kanae Minato‘s books for the readathon). Keeping those things in mind, here’s my readathon TBR! For YA books this time, I’ve come up with two: Neverworld Wake by Marisha Pessl and The Rules and Regulations for Mediating Myths and Magic by F.T. Lukens. Neverworld Wake is one that’s been highly recommended but I don’t know too much about–and I’d kind of like to keep it that way, since it’s a strange concept that I think involves time travel and purgatory and a murder investigation. Rules and Regulations is one that I picked up at BookCon; I think it’s a contemporary fantasy. And then I have the audiobook of Sawkill Girls by Clarie Legrand, because it’s good to have an audiobook option to give your eyes a break. In terms of shorter books, I think I’ve found a few that will work for the readathon. I love Jeff Vandermeer, and I’m hoping to pick up his novella The Strange Bird, which is a companion to his novel Borne (which is fantastic, btw) when I’m in the mood for a shorter read during the readathon. Vandermeer writes weird fiction, and I’m interested to see an alternate perspective on Borne’s story, since the world he created in that book is so rich with detail and opportunity for further exploration. I also have on deck Megan Hunter’s The End We Start From, which is a short, sparsely written apocalyptic novel set while its main characters are fleeing a flooded London; A Portable Shelter by Kirsty Logan, which I believe also has short stories, and A Man Came Out of a Door in the Mountain by Adrianne Harun, which is sort of a creepy fantastical mystery. To mix things up, I also have a choose-your-own-adventure style book, My Lady’s Choosing by Kitty Curran and Larissa Zageris, that I think might be fun to pick up when I’m feeling sleepy or distracted; it’s not a book that you read straight through, but you can play around with different storylines. It’s sort of an interactive romance novel that also parodies historical romances. And then to round out my stack, I have an ARC of Empire of Sand by Tasha Suri that I got at BookCon, because it’s a book that I need to read before its release date in November. Are any of you participating in Dewey’s? If so, I hope you enjoy the readathon! That’s a wrap on this round of Dewey’s! I had so much fun participating in the readathon after a pretty stressful week, and I felt myself relaxing more and more throughout the day, which was honestly the best part. Sometimes you just need to take a chill day and be bookish! I started out the readathon at a decent hour–it starts at 8:00 a.m. my time but I never wake up right at the start time, as I always catch up a bit on sleeping during the weekends. I did wake up around 9:00, though, and started reading almost immediately, which was pretty good for me. 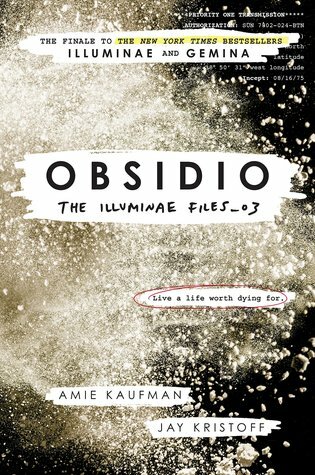 I started off the readathon with Obsidio, the third and final book in the Illuminae Files trilogy, which I actually pre-ordered and received in March but have been waiting for the readathon to actually pick up. I knew that it would take me a decent amount of time to finish, but since it was what I was most looking forward to, that’s what I wanted to use to kick off the readathon. I actually read all of Obsidio with only one short break to post on Litsy and eat a delicious salad for lunch, which is very unusual for me! It was definitely an enjoyable read, but I didn’t like it as much as the first two books in the trilogy as it didn’t get nearly as in-depth with any of the characters. 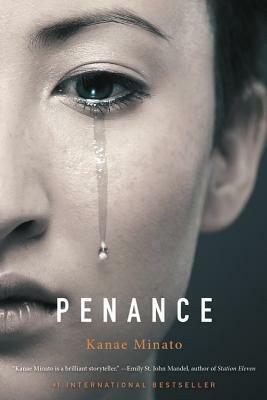 After Obsidio, I took a break to go to the gym and shower, and then started in on Penance by Kanae Minato after reading the first page of all 3 of the shortest books on my TBR and deciding that one appealed to me the most. I took a break partway through Penance to order dinner (I got takeout! Turkey burger and sweet potato fries, because that was just what I was in the mood for and didn’t feel like cooking during a readathon) and watched an episode of Life Sentence. After that, I finished up Penance fairly quickly. It’s a short book (only 225 pages) and divided into 5 parts, one from each perspective of the women impacted by the murder of a child. After I finished Penance, I took a long social media break to catch up with Instagram and Litsy, and found that I was not really in the mood to try to start and finish another book during the readathon, even though I did have two shorter books on my TBR that I could have probably finished if I’d really tried. 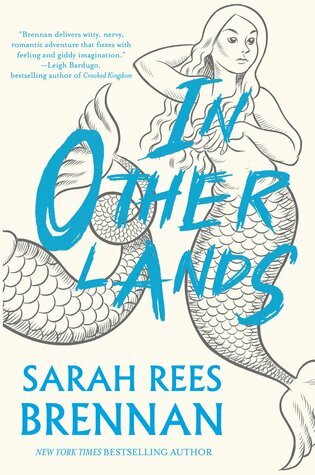 I just didn’t feel like I would have been able to focus on the book enough to really get everything out of it that I normally could, so instead I went with a humorous YA fantasy, In Other Lands by Sarah Rees Brennan, which fit my mood and level of alertness much better. Because I was getting tired, I only got through about 50 pages (with frequent breaks) before I was ready to fall asleep around 2:00 a.m. 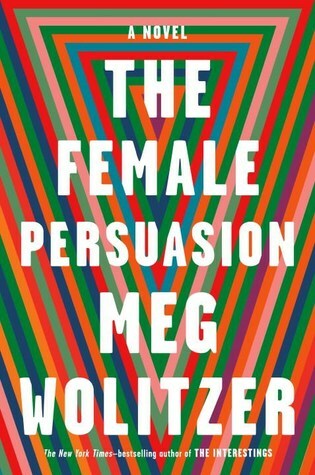 Throughout the day, I also listened to just a bit of The Female Persuasion by Meg Wolitzer; I just wasn’t really in an audio mood. Overall, it was a great, relaxing, and productive readathon! There was an hour in the middle of the afternoon when I got really off-track because I was trying to find tickets to see Avengers: Infinity War on short notice with a large group of people. All of the nearby theaters were full and so much texting was happening and it took me awhile, but I did end up getting tickets and getting back to reading. I finished 2 books, Obsidio by Jay Kristoff and Amie Kaufman (615 pages) and Penance by Kanae Minato (225 pages), and read from 2 others, The Female Persuasion by Meg Wolitzer (24 pages) and In Other Lands by Sarah Rees Brennan (50 pages). In total, I read 914 pages! These would all make good readathon reads! Especially Penance, as it’s very short and fast-paced. This year the mini-challenges were all given at once, as opposed to other years when they come out one hour at a time and last for only a few hours. I think I preferred the hourly mini-challenges. Very likely! I will definitely be participating in the next round of Dewey’s on October 20th, and I like the idea of getting more involved by hosting a mini-challenge or donating a prize next time! If you participated, how was your readathon?? It’s that wonderful time of year again–time for another round of Dewey’s 24-hour readathon! If you aren’t familiar, Dewey’s is a readathon that takes place over 24 hours, and the way to “win” is to read the entire time. Many people, myself included, never read for the full 24 hours and that is also OK–you can participate as much or as little as you want. It’s a low-pressure and very social readathon that tends to get a lot of participation across many countries and platforms. If you’ve never participated, I highly recommend it–it’s a lot of fun! If you want more information or to sign up, check out the Dewey’s site here. During the week leading up to Dewey’s, I usually spend a fair amount of time agonizing over my TBR. Dewey’s can be tricky to plan for since you don’t know what reading mood you’ll be in and you tend to need shorter, faster-paced books to carry you through. I actually made a stack of recommendations of books that I’ve loved that I think would make great picks for Dewey’s on my Instagram account (linked on the sidebar). This time around, I don’t have any novellas or graphic novels on my TBR since I’m not in the mood for graphic works and I don’t currently own any unread novellas. It’s possible that this will cut into the amount that I’m able to finish, since those are typically what I use to keep myself motivated and break up the day. That being said, I’ve put together a pretty awesome TBR stack that I’m very excited to dig into. As always, I definitely don’t plan on reading all of these books, but I like to have options as I’m very much a mood reader. I’ve got a variety of genres: fantasy, both space-related and post-apocalyptic science fiction, realistic fiction, mystery/thriller, and a collection of horror fairytale retellings. These are all fairly new books; I’ve been making an effort to read from my backlist TBR shelf lately, but for the readathon I’m in the mood to treat myself to some newer things. So, here’s my Dewey’s TBR! I would normally rank these in order of most to least likely to pick up during the readathon, but this time around I’m almost equally excited for all of them. The exception to this is Obsidio by Jay Kristoff and Amy Kaufman, which I pre-ordered before its March release yet fully intended on saving it for Dewey’s. The Illuminae Files series is perfect for a readathon; the books are chunky yet there’s not much text on each page due to their alternative formatting, and they’re extremely fast-paced so that you’re motivated for binge-reading. I’m planning to use this book to kick the readathon off and figure out the rest of my TBR after I finish it. As far as longer YA books go, I have 2 other options on hand: I just won an ARC of Furyborn by Claire Legrand in a Litsy giveaway, and for awhile I’ve really been looking forward to picking up In Other Lands by Sarah Rees Brennan. I’m more likely to pick these up after I finish both Obsidio and one of my shorter books (I think?) but I like the idea of starting a longer book during Dewey’s that I won’t necessarily finish during the readathon, but that I can carry on reading into May. I have both the audio and the physical copy of Meg Wolitzer’s The Female Persuasion, which is the only book in this stack that I’ve already started. I’ve listened to about an hour of the audiobook so far and really love it; I’ll probably use the audiobook to help break up the day, or if the weather forecast magically changes and I want to go for a walk. And in terms of shorter books, I have 2 novels and a collection to potentially pull from. I’m liking the idea of picking up either Penance by Kanae Minato or Bannerless by Carrie Vaughn after I finish Obsidio; both are less than 300 pages long and seem like they would be fast-paced as well as good. I feel like there’s a high likelihood of me reading at least one of them. And then I also have The Merry Spinster, a collection of fairytale retellings with a horror twist by Mallory Ortberg (who recently announced a transition to Daniel Ortberg but is listed as Mallory on the book). I think that even if I don’t read the entire collection, I might read a story or two in between longer books and then finish it later on. Goals-wise, I’d like to finish 2 of these books and start a third. I think that’s pretty reasonable. I’d also like to keep up with posting updates throughout the day as well as checking in to see how everyone else is doing with their reading on Bookstagram/Litsy/blogs. Ideally I’ll take a reading break partway through the day to go to the gym; I would have loved to go on an audiobook walk or do some reading outside, but as of now my weather app says it’s supposed to be chilly and rainy, so it’ll likely be an indoor reading day unless I need a change of scenery and go to a coffee shop or something. I’d like to read for many hours (I have no idea how many, but “many” sounds good). And that’s it! Are you participating in Dewey’s? What’s on your TBR? I just started Last Call at the Nightshade Lounge by Paul Krueger; technically I’m also at the beginning parts of both Only Ever Yours by Louise O’Neill and Her Body and Other Parties by Carmen Maria Machado. I finished one book (That Inevitable Victorian Thing by E.K. Johnston) and have read bits of two others. Technically, I also read the first 1-2 pages of a lot of books since I was having a hard time figuring out what I was in the mood for next. I think my main focus with be on Last Call at the Nightshade Lounge, although I may mix it up with an audiobook when I get tired. Not really interruptions…I did take a break after finishing That Inevitable Victorian Thing to work out and eat dinner, and I’ve been taking lots of social media breaks as well. I’m surprised that I slept so poorly and woke up feeling stressed! Readathons are not supposed to be stressful; even if my stress had nothing to do with the readathon, I’m surprised that reading didn’t relax me more. I’m also surprised that I’ve been having so much trouble deciding what to read, as that’s what TBR piles are for. After I finished my first book, I was kind of at a loss and kept picking things up and realizing I didn’t want to read them. And that’s a wrap on this round of Dewey’s! I’m very late with this wrap-up post (oops) but I had a wonderful time devoting my day to reading on Saturday. I luckily didn’t have too much in the way of conflicts so I was able to focus on reading better than I normally can for long periods of time. Of course, I didn’t read for the entire 24 hours (I never do) but it was overall a really fun bookish day and I very much enjoyed it. Hour 17. At about 12:30 a.m. I started to totally crash. I’m normally a night owl, but as it got later I was having a harder time focusing on my physical books, so I ended up switching to audio for the last few hours I spent reading. Nope! I love the readathon as is. I finished 3 books and read a bit of a fourth, for a total of 833 pages. The Grownup by Gillian Flynn, Replica by Lauren Oliver, and Saga, Volume 7 by Brian K. Vaughn and Fiona Staples were the books that I finished during the readathon. I also read/listened to some of Perfect Little World by Kevin Wilson. Surprisingly, my favorite book of the readathon turned out to be The Grownup by Gillian Flynn. It was twisty, atmospheric, and impossible to put down. I wish it had been longer! I didn’t not enjoy any of my readathon books, but I wasn’t blown away by Replica. It was fun and fast-paced but it did lack a lot of depth for me and I wasn’t into either of the romantic plotlines. I’m very much looking forward to the next round of Dewey’s in October! Halfway through Dewey’s 24-Hour Readathon Updates! 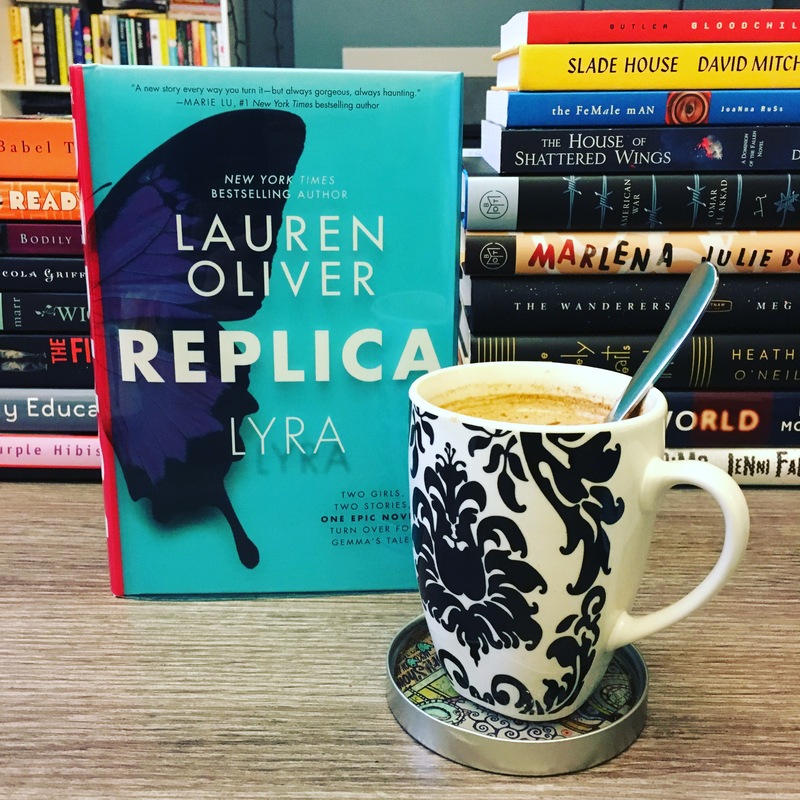 I’m currently reading Replica by Lauren Oliver, which is a science fiction YA read that is told from the perspective of two girls and deals with human cloning. The book is actually separated into two books, and you have to choose which story to start with and whether you alternate between the two storylines or read one and then the other straight through. So far I’ve been alternating between the two girls’ perspectives in chunks and it’s worked well to help mix up my reading. So far, I’ve finished one book and read about 3/4 of another, for a total of464 pages. Hmm…I’m really looking forward to finally picking up the most recent volume of Saga by Brian K. Vaughn and Fiona Staples, but I’m also getting this urge to go rogue and pick up a book that’s not on my TBR. After I finish Replica I feel like I’ll be all over the place. I woke up late (the readathon starts at 8 a.m. my time, and I am physically unable to force myself to wake up that early when I don’t have to work) and I’m planning on taking a reading break soon to work out. I feel like as it gets later I’ll get more and more distracted with interruptions, so we’ll see. I haven’t been as easily distracted as I thought I’d be! I haven’t spent this much time in one day reading since, well, the last round of Dewey’s, but so far I really haven’t gotten bored or restless or anything. I think it’s partly because I was really looking forward to a reading-centered day after a few weeks of craziness, and partly because I picked out good choices for my TBR.